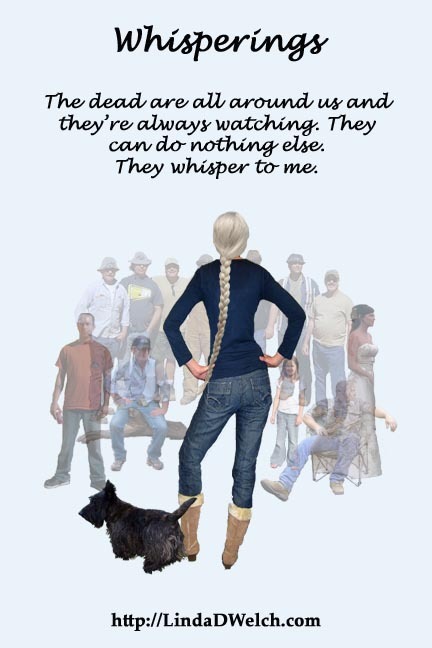 Whisperings book seven is almost here! 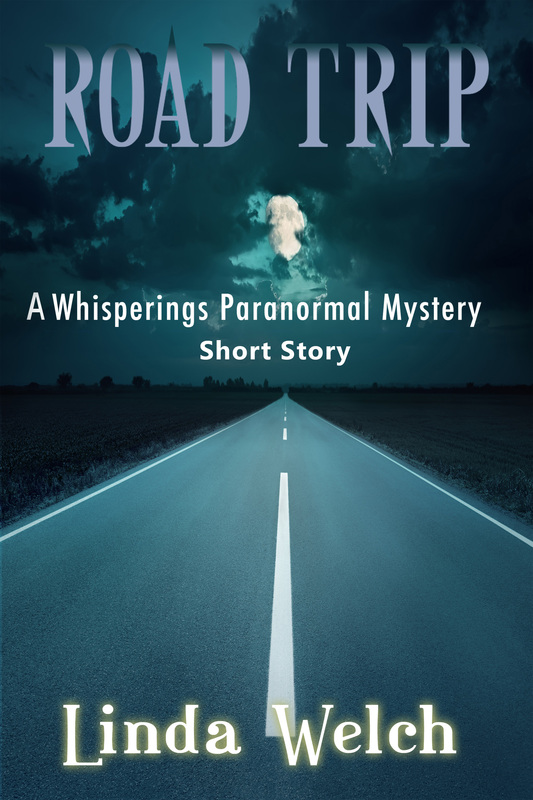 Road Trip, a Whisperings short story, takes Tiff, Royal, Jack and Mel to southern Utah in a quest to find the body of a brutally murdered woman. Tiff would rather her roommates stayed at home in Clarion, but there is no way to shake off shades who cling to your aura and come along for the ride. And Jack is determined to see his ex-lover, Dale, and discover why the man has not been in touch for over a month. I . . . um . . . borrowed (cough) a Whisperings fan for this story. I know she’ll recognize herself. Only $0.99 on Amazon.com and comparative price on Amazon.UK ~ Amazon Germany ~ Amazon France ~ Amazon Canada ~ Amazon Australia. If not listed here, look for it on your local Amazon site! 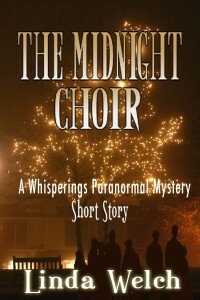 My holiday gift for Whisperings fans, The Midnight Choir, a Whisperings short story, is free on Amazon.com, Barnes and Noble, iTunes, Kobo, Scribd and Inktera. Hopefully, it will soon also be free on International Amazon sites. This little story was first published here on my web site, but the new version includes additional material. I hope you enjoy it. Time has rushed by so quickly. The end of another year, when people look back and reflect on what the year brought into their lives. As for me, the body is getting old and has forced me to acknowledge it has limitations, but the brain still works. I have family. I have friends who have stuck by me for years and new friends I’ve met online and in person. I can picture events which still make me smile when I remember them. As for the writing – as always it’s been fun, exasperating, stressful, tiring, and exhilarating. On the writing side, Baelfleur, the sequel to Downside Rain was published in November. 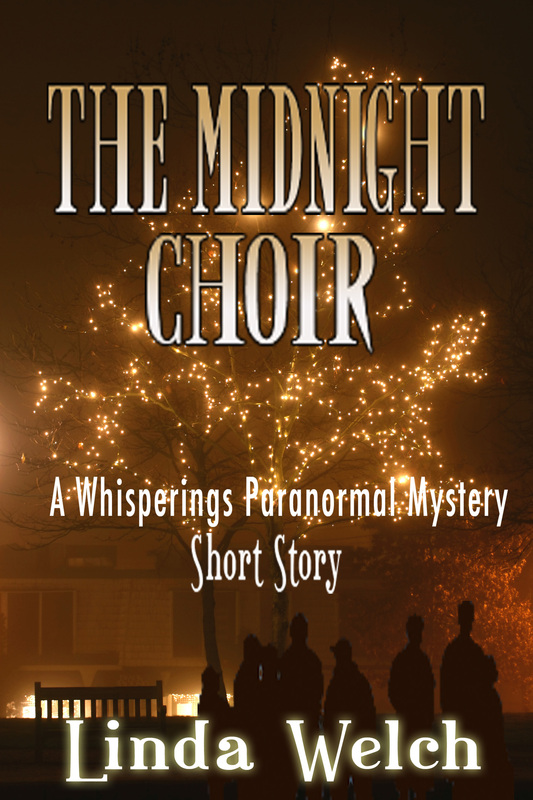 Tiff Takes on Halloween, a Whisperings short story, was published in October. I tried it on Amazon’s Kindle Select/Kindle Unlimited as an experiment. All the KU borrows were nice but at the end of the day, being exclusive to one publishing platform doesn’t sit well with me, so the little story will also appear on Barnes and Noble, iTunes, Kobo, Scribd and Inktera when the Kindle Select period expires in January. And while I’m thinking of it, a shout out to Kindle Select staff who have always responded to my questions/problems promptly. Believe me, if you had to work with support staff at some of the other publishing platforms, you’d appreciate the guys and gals who staff Kindle Select. I almost forgot to say – last week I reached a personal milestone with the sale of my 75,000 e-book. In January I found out my Scottie dog Duncan has cancer. The discovery resulted in me rushing to England in April and deciding to write a seventh Whisperings Paranormal Mystery. Why did my dog having cancer make me rush to England? And why did it prompt me to write another Whisperings book? Well, I wanted to go to England to see my 91 year-old mum. Husband and I planned to go later in the year, but I didn’t know how long Duncan had with us. His excellent vet estimated six months to a year. I decided on chemotherapy treatment for him, but chemo destroys the immune system which meant he couldn’t be put at risk for infection by having him in a kennel while husband and I took a trip. In fact, he can’t be with other dogs at all, or have his annual immunizations and rabies shots, and we watch him carefully during walks to make sure he doesn’t get into anything he shouldn’t. I didn’t want husband to have to deal with Duncan getting sick, and of course I wanted to be with Duncan when the time came, so I whipped off to England earlier than planned and husband cared for Duncan while I was gone. As for Whisperings. I said in my post To Be Or Not To Be that I didn’t know whether or not I’d write another Whisperings after A Conspiracy of Demons, and I didn’t have any plans to. But an odd thing happened when I learned Duncan has incurable cancer. I love my little dog and the news devastated me. I sat down at my computer and piled the whole thing on Tiff’s shoulders. I wrote about her discovering her Scottie Mac had cancer, her grief, and how she imagined the time to come when she would have to help him on his way. At the end of the little piece, a bullet came out of nowhere. I was pretty surprised. That wasn’t supposed to happen! I thought about it and before I knew it, I had an outline for Whisperings Paranormal Mystery book seven: Dark Demon Rising. I put it aside while I finished writing Baelfleur and the short stories but I’ll jump back on it after Christmas. If you’re wondering about Duncan, he’s still with us and still going strong almost a year after the diagnosis. So although 2014 began unhappily, it turned out to be a pretty good year. I hope 2015 brings good things, to me and to you. 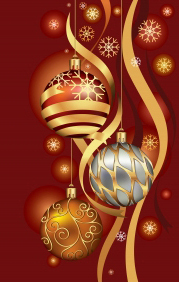 Happy Christmas, may the day be merry and bright, filled with love and good cheer. Tagged Amazon, author linda welch, Downside novels, Fantasy, ghosts, paranormal mystery, Scottish terrier, urban fantasy, Whisperings novels, Whisperings short, writing. Will there be another Whisperings novel? Tagged Along Came a Demon, author, Dead Demon Walking, Demon Demon Burning Bright, Demon on a Distant Shore, fiction, ghosts, Linda Welch, paranormal mystery, publishing, The Demon Hunters, Tiff Banks, urban fantasy, Whisperings, Whisperings novels, Whisperings Shorts, writing. Whisperings book six, A Conspiracy of Demons, is now live as Kindlebook on Amazon.com. Expect to see the paperback version early 2013. Whether there are many people in your life, or only a few, losing one hits just as hard. An old friend is murdered, and a new friend stops by long enough to provide a listening ear where Royal and I need it most. Conducting our investigation under Provo PDs radar involves enough shenanigans to give this gal nightmares, and that I’m a “person of interest” doesn’t make it any easier. You’ll never believe where this investigation takes us. Never in a million years. Not in your wildest imagination. Together with the High House, we uncover a plot of epic dimensions. Can we put a stop to it? When desperate times call for desperate measures, will there be casualties? As if a major catastrophe in the making isn’t enough to deal with, a conversation prompts me to relook at a decades old case closer to home. What I discover makes me face a tough decision. Do I tell the police and get myself in a heap of trouble? Do I tell the victims? Or do I let it go? 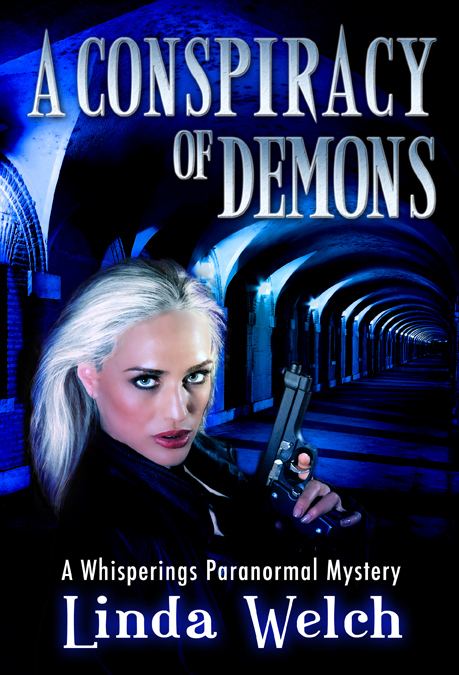 Whisperings book six: A Conspiracy of Demons. UPDATE UPDATE READ ALL ABOUT IT! I thought it was time. . . . The first draft of Whisperings book six, A Conspiracy of Demons, is done. Bear in mind this is the first draft. I have to let it simmer for a few weeks so I can look at it again with fresh eyes. This one has taken me twice as long to complete as any other, I thought I’d be closer to publishing by now, but sometimes life gets in the way. After I have reread and edited it at least a couple of times, it will go to my editors and beta readers. What happens in book six? I haven’t worked on the blurb yet, but I can tell you that a new friend pays Tiff a very brief visit, just long enough to really irk Jack and Mel, and provide Tiff with a clue to the death of an old friend. Two decades-old murders are reinvestigated. Tiff and Royal are targeted for assassination. And when the Otherworldy are involved, nothing is quite as it seems. 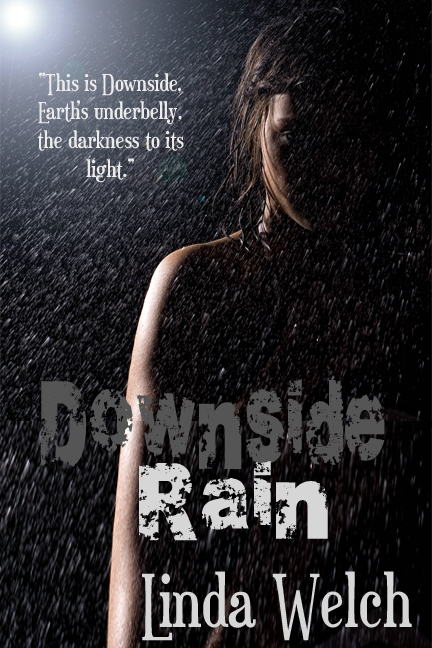 I am also working on an urban fantasy novel, Downside Rain. All I’m going to say about it, is it’s a little on the dark side and involves all kinds of monsters. Husband and I are off to the Caribbean in November. We are so excited! I think we’re the only couple in our circle of friends (and many acquaintances) who have not yet been on a cruise. We rarely go anywhere apart from England every other year and we’re probably the only people in the USA who have never been to Disneyland, so this is a big deal for us. Tours are planned, to-take and to-do list are made. Our adult son, who lives with us, will take care of the animals, mail, newspapers etc. I’m taking my laptop and may get a little writing done, but hope I’ll be too busy having fun to open it up. Reviews for Along Came a Demon on Amazon.com have and still are the focus of some malicious action. I won’t go into details as I don’t want to start a flame war. Unless you are intimately familiar with every review for the book as they appeared perhaps four weeks ago – which I seriously doubt – looking at the remaining reviews as they are now will tell you nothing, but believe me, what someone or some persons did and are still doing is upsetting. It’s that time of year again. The garden has been tidied, deck furniture covered or stored in the shed, hoses wound and put away, lawn mower put away and snow blower prepped, window canopies rolled up, and the central heating doing its thing. Most of the leaves are off the trees and the grass is dead or dying. Winter is coming, snow and bitter cold. Expect to hear me complaining. A lot. And it looks like we may have snow for Halloween. Halloween is just another day for us. The first year we lived here, we bought candy and waited at the door with a bowl. At the end of the evening, with nary a trick-or-treater, we ate the candy ourselves. We were still hopeful the next year. We bought candy, although not as much, and it was our favorite candy, just in case. We ate that too. We don’t expect kiddies anymore and we don’t buy candy. We should have realized parents don’t bring their children to an area that has no street lights and most homes are reached by walking up a long, dark driveway. Thanksgiving is just around the corner after Halloween. Thanksgiving is fun, a big celebration with husband’s family. I also enjoy Thanksgiving because it’s easy! For me, anyway. I rarely have to cook, and when I do my contribution to the meal is something simple. Or we take the wine and potato chips. And then Christmas. A little more pressure, because I have to actually clean the house, and purchase the gifts, and hang the decorations, and provide food. But I’ve made it easier on myself the past few years. Food is buffet style, most of it bought ready-made. 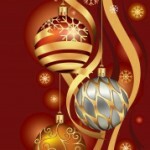 Fewer decorations are hung every year. Gifts are harder, now most of the grandchildren are teens – what do you get a teen who already has everything, or wants something which costs gadzillion dollars? And – bummer – I still have to clean the house. And then – God no, I don’t want to think about it! 2013. Another year and another year older. You know what, maybe instead of all the above, I’ll go into hibernation. Want to join me? Posted in Ramblings, What's Next? Tagged Amazon, author, fiction, ghosts, Linda Welch, Tiff Banks, urban fantasy, Whisperings, Whisperings novels, writing. I don’t mean to scare you.